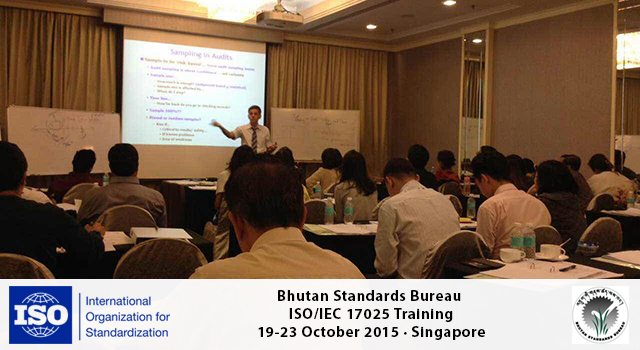 Four technical officers from Bhutan Standards Bureau (BSB) attended training on laboratory management systems and internal audit in relation to the International Organization for Standardization’s ISO/IEC 17025, in Singapore on 19-23 September 2015. 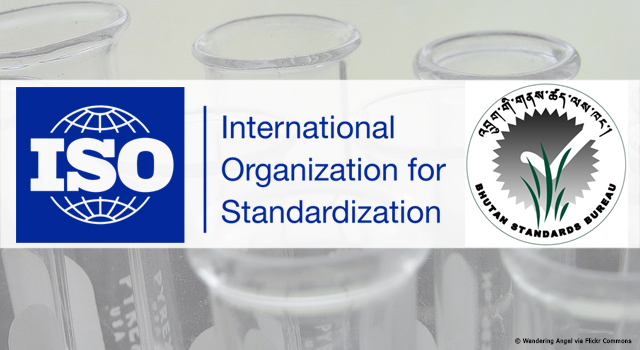 ISO/IEC 17025 is the international laboratory management system standard that provides a framework of good management practices for laboratories performing testing and calibration. It does not, however, guarantee operational excellence, so the best laboratories in the world not only seek accreditation by ISO/IEC 17025, but also develop their process-based management systems to ensure continual process improvement. 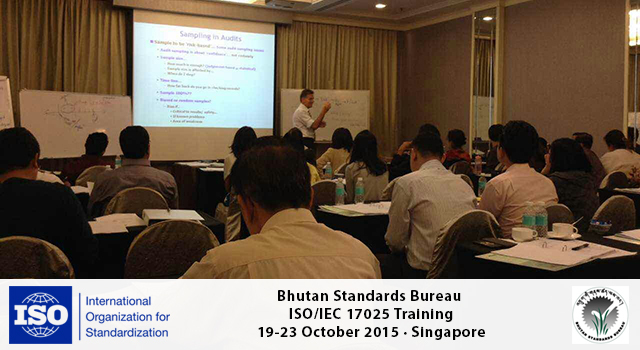 BSB was established in 2010 following the introduction of the Bhutan Standards Act of 7th July 2010. 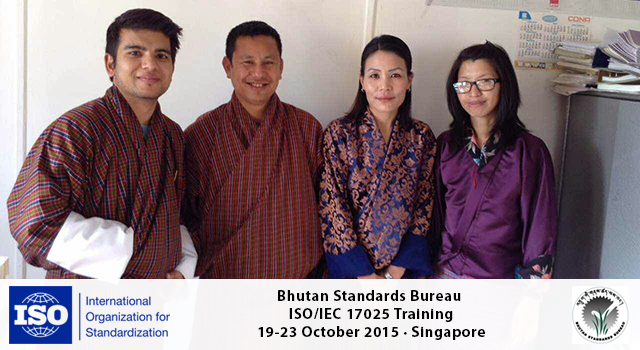 BSB is an autonomous organization that coordinates and oversees all standardization and related activities in Bhutan. It fosters and promotes standards and standardization activities that will assist in advancing the national economy, benefit public health, safety and welfare, assist and protect consumers, protect the natural environment, promote industrial efficiency and development, and facilitate domestic and international trade. 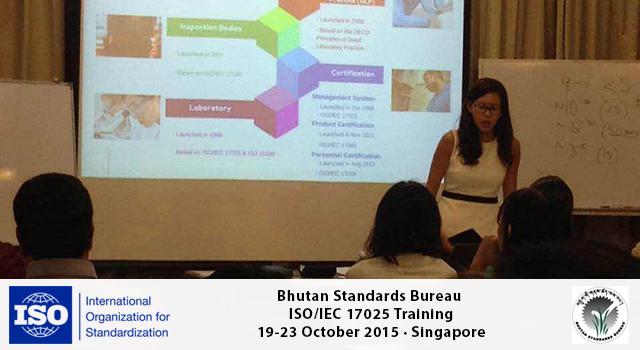 The laboratory management systems and internal audit training in Singapore enhanced BSB competencies to carry out internal auditing whereby planning, conducting, reporting and corrective action plans can be continuously improved. BSB is also now better able to guide private laboratories as they improve their own facilities and processes. 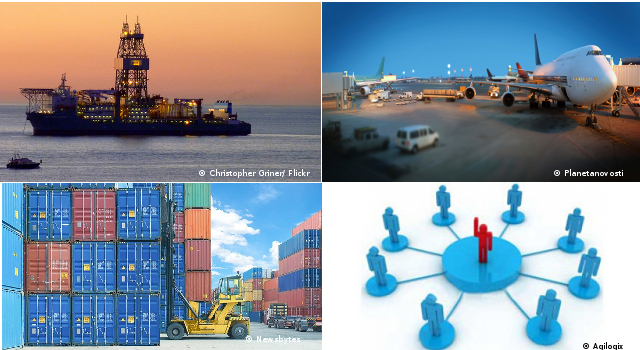 In the area of trade facilitation, commodity testing plays an important role in the international transaction of goods and services and is a critical link between standardization and quality control. Access to fully accredited laboratories speeds up cross-border trade and cuts associated costs of trade, as cargo samples no longer need to be shipped to facilities in other countries for testing. 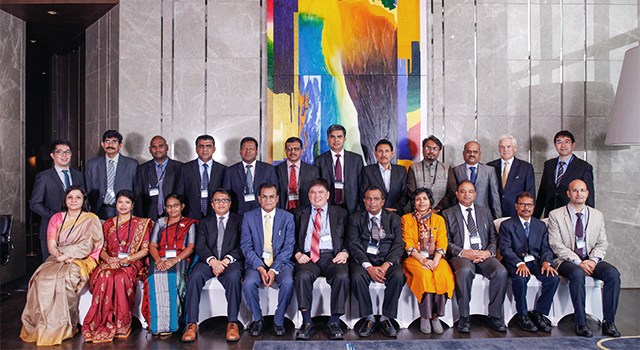 The training was supported as a subproject of Bhutan’s National Transport and Trade Facilitation Committee, which is the coordination mechanism for all relevant at-the-border and behind-the-border agencies involved in trade facilitation in Bhutan. 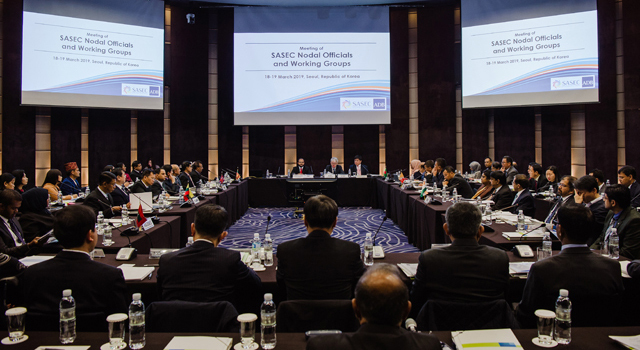 Asian Development Bank regional technical assistance funded the training.